Have you had any technology issues recently? Computer turning off over and over without any explanation? Looking for a custom built desktop? Need assistance putting together your Audio/Video setup? Computer will not turn on and lost all of your valuable photos? 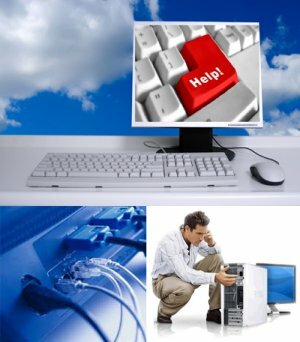 Need help setting up your wireless network? Computer is becoming slow and cumbersome with all of these pop-ups claiming you have 'thousands' of viruses and trojans? Do you not understand how to use your computer or peripheral device? Do you just want an upgrade to an aging system? Do you want consultation and help finding a new computer, or custom building? Having trouble with your smart phone, is it doing something it shouldn't be doing? Jim Van Dress Computer Services strives to help Residential Users and Businesses with their computer issues in the Toledo Area. Copyright ? 2005 - 2019 Jim Van Dress Computer Services, All Rights Reserved.